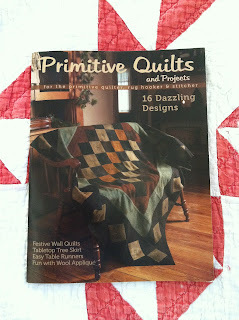 We got a few copies of Primitive Quilts and Projects yesterday. It's a grand issue. Let's give them away! Make a comment on this post before midnight Sunday, October 14th and you could get a copy of this issue and a piece of the coat weight wool I used to make the Polka Dot Prance quilt. Actually, I have a few pieces of that heavy wool that was used for both the batting and edging (it's all the same piece). If you would like to purchase a 24" x 26" piece of that wool to make the Polka Dot Prance quilt - email me here and I'll get it out to you. The cost is $12.00 and it includes shipping (in the contiguous 48 states). Hope you folks have a great fall weekend. It's glorious here today! Unfortunately, it looks like rain for the weekend - which may or may not have baseball close by. We won't know until tonight if the Tigers play here or in NYC next. I would be just a tad more excited, but I'm sleep deprived and a bit frayed from that great series just played on the West Coast. Be careful for what you wish for. I'd love a copy of the magazine! I looked at it at B&N and it's fabulous. Thanks for the chance to win a copy! It looks wonderful! I've been waiting for this issue!!!!!! I love that horse. So cute. Beautiful cover on this issue - haven't seen it yet. Pretty pony! I would be in HEAVEN if I won! I just love this magazine because of all the wonderful primitive designers who are in it - your's are some of the BEST! After all you've told us about that magazine, I am intrigued. I love Polly's Polka Dot Prance rug, but I've loved every one of her rugs. I'm trying to hold steady on not taking up making rugs because I already quilt and knit and I need some money left over from crafts to pay the bills. But if I did take up making rugs, I'd be making lots of Polly's designs. I would love to win, thanks for the chance. I really want to make the Polka Dot Prance quilt- love it. Thanks for the chance to win... it looks like a great issue. The magazine looks wonderful! Thanks for a chance to win. The horse is great - gotta love polka dots! Thanks for the chance. Would love to win a copy of the magazine. I have been eyeing this magazine since posts started showing it, I love primitive quilts. Thanks for the chance to win. Adoraria uma cópia,obrigada.este cavalo ficou tudo de lindo,parabéns,gostaria de fazer em um almofadão.Sei que chances são iguais para todos,mas espero que o sr.R me escolha. It would be glorious to win this magazine! My daughter loves horses! How perfect! oh me oh me( as I raise my hand) I always wanted to try a wool quilt.. thank you ladies! 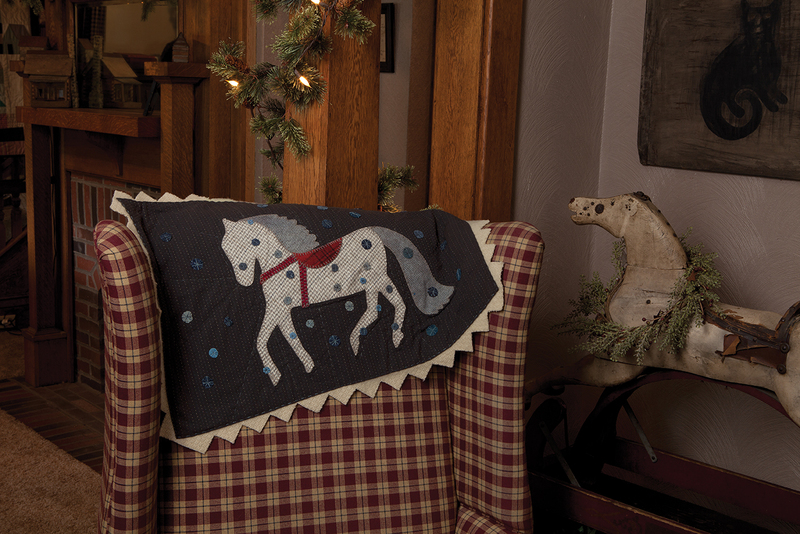 Thanks for a chance to win the magazine, along with the wool to start Polka Dot Prance. A great project, and I have the perfect wool to go with it. Thank you for the chance to win the magazine and the wool to get started. I love the pony pattern! thanx for the chance to win a copy ... would love to read it and work a project or two. I love love love this magazine! Thanks for the chance to win! Thanks for the giveaway chance. Prance is great! Please enter me too! I'd love a chance to win the magazine and a piece of your wool. Thanks for being so generous! Have a great weekend! I love that magazine and your project is fabulous. thanks for the giveaway. Thanks for the chance to win a copy of the magazine as I haven't read one before...and to check out your quilt too. My favorite magazine and I'd love to win a copy! Oh, I would love to win that magazine. Please pick me! I'm a Tiger fan myself - pretty exciting game last night. Way to go Justin!! Thank you for the chance to win. Would love to have a chance to win this Winter issue!A piece of your wool would be sweet icing on the cake! Ooh, I love Primitive Quilts! Can't wait to see what this issue has in store. I would love to win a copy of this mag. I already own a copy of the magazine, but I would love to win a copy for my sister. I can't lend her mine, as I would never get it back--it's been like that since we were teens and she "borrowed" my fishnet hose. Go Tigers! Hope they shutdown NY!! Laurie - lovely wool piece! 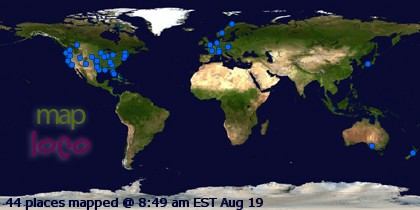 Thanks for sharing it with us. 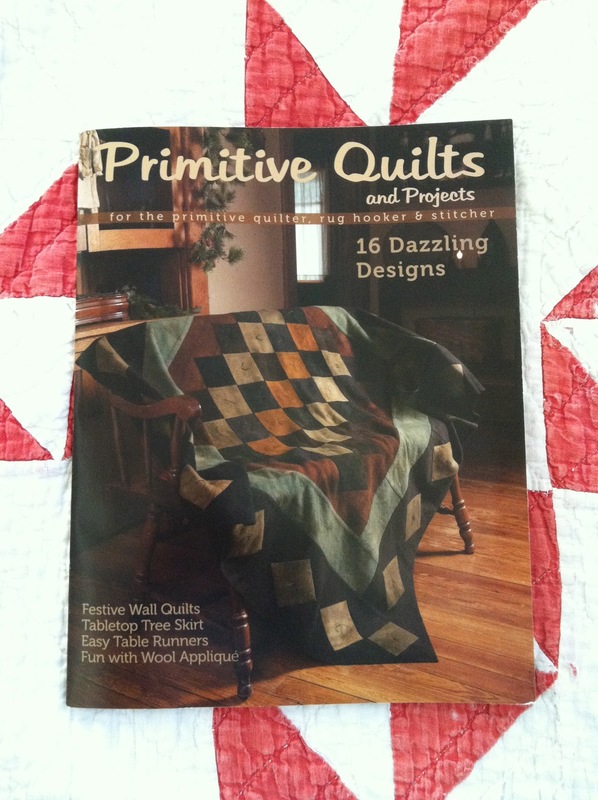 I just love "Primitive Quilts and Projects" magazine -- my Local QS carries it and I try to pick it up each quarter... maybe this time I have the luck of the draw!! Have a wonderful weekend -- we're watching the Yankees beat the Orioles now!! May the best team win! It would be wonderful to win a copy of this magaizine. Thanks for the chance. I'm a horse lover from way back. thanks for the giveaway. Would love to win this one! Great give away - love the horse! OMG I love the horse. My horse died 4 years ago at the age 32 1/2 years so anything with horses is a winner to me. Thanks for this give away. I love the name of this project. Great project !!! I would like to win a copy of the magazine!!! Thank you for the great give away! I love the pony! What a great design! Go Tigers! thanks for the lovely giveaway! Yes...it is going to be a rainy weekend here and it would be so wonderful to sit in my favorite chair reading that great magazine. If you ship international, I would like to give it a try. It's a lovely magazine! Oh, I would love a copy! Thank you for the chance. What a wonderful giveaway. I've been wanting to get a look at that magazine for quite some time. He has pranced into my heart..
Would really enjoy winning a copy!! The magazine looks sweet. Thanks for a chance to win. Love your colors. I'd like to win. I would love to win this magazine from you.. I've not seen this magazine around here, so I would love to win a copy! I'd love to win the magazine. Thanks for the chance to win. I would love a copy of the magazine. I looked for it today at Hastings and they did not have it yet. Please include ne in your giveaway! I love primitive projects. Thanks! I love your polka dot pony and would love to win some of the fabric! Love the horse, since I use to own 2 in my younger years. The magazine is a must have! My daughter would love to have me make the horse quilt for her. She has just the right spot for it! Janet L.
That horse is adorable! Our family all love horses and used to have one with spots! Thanks for a chance to win. I've never tried a wool project, so this would be fun to win. I love horses and I love dots. This would be the perfect project for a granddaughter who loves horses !!!!!!!!! Would love this!!! I was so disgusted with Papa Grande giving up two home runs last night --- I went to bed! How nice to know they won anyway and won again today --- GO TIGERS!! Thanks for the opportunity to win. ...and may the rain go away for the games in Detroit! Would love to win. Haven't bought an issue yet, but would love to have one. Thank you for the give away! The horse rug is very cute, who would have thought of dots, love it! Love this magazine! It always so many great projects in it. Love this magazine! It always has so many great projects in it.